At Governing Body, the Bench of Bishops issued a Pastoral Letter concerning an important change in the discipline of the Church in Wales. From Advent this year, the Church in Wales is adopting the admission of all the baptized to Holy Communion. This is an important theological reordering. Since Baptism alone is the outward sign of the invisible grace by which we are made Christians and incorporated into the Body of Christ, it can, in reality, be the sole qualification for reception into eucharistic Communion. Every cleric should have received a copy of four documents: the Pastoral Letter itself, a supporting document for our Churches, a supporting document for our congregations, and a short theological reflection (composed in the main by our own Richard Hainsworth). I very much hope that clergy will share and circulate these documents, particularly with Shared Ministry Teams, and PCCs and Mission Area Conferences. It is intended that all Churches of the Church in Wales should adopt the new discipline by Advent 2017, but take the time to educate and prepare our people before going over to the new practice. To this end, you are all encouraged to use the supporting papers for discussions with your lay leadership and committees, and with your congregations so that people are educated in why the change is taking place, and know what is expected under the new arrangements. 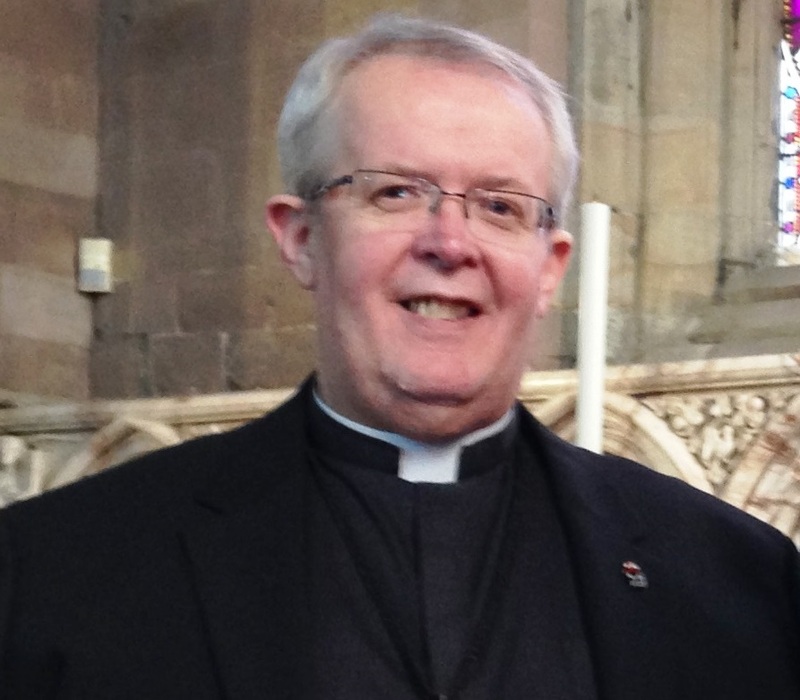 It is good to welcome Bishop Stephen Lowe to a new role in the diocese. Stephen has accepted the invitation to become Mission Area Leader for Aled Mission Area (formerly Rhos Deanery) for the next three years. Noel Carter is to be Mission Area Leader for the Aberconwy Mission Area, Paulette Gower for the Alyn Mission Area, Sue Huyton for the Bangor Mission Area and Jane James is to be MAL for Caereinion; Hermione Morris is confirmed as MAL for Vyrnwy, and Lynette Norman as MAL for the Tanat Valley. Kate Tiltman will take on the Offa Mission Area. I am also pleased to announce the appointment of Roger Watts as House for Duty Priest in Charge of Llanddulas and Llysfaen. Roger joins us from south Wales, and it is good to have him on the team. His licensing will be on 19th December – in time for Christmas. Christine Browne has been appointed as House for Duty Priest Guardian of the Shrine of St Melangell, Pennant Melangell and Director of the St Melangell Centre. We’re delighted to welcome Christine to this role from St Davids Diocese. Gary Windon is assuming a new role as minister to Audlem, Hankelow and Hatherton churches in the Cheshire South Methodist Circuit, alongside his work as Chaplain to the Nightingale House Hospice in Wrexham. It is good as well to announce his engagement to Alison Jukes, and wish Gary and Alison every happiness in the future. I am sorry to announce that John Geary will be leaving us in the new year to take up the position of House for Duty priest in the Parish of St Luke, Middlestown and St Andrew, Netherton in the Wakefield Episcopal Area of the Diocese of Leeds. We have been grateful for John’s ministry among us since he joined us in 2013, and wish him well as he moves closer to his family. A belated congratulations to Quentin Bellamy and Kate Johnson who celebrated their Silver Wedding Anniversary in the summer. 3rd October: Choral Evensong with the Admission of new members to the Order of St Asaph, Cathedral, 1800hr. 8th October: Diocesan Conference, St Joseph’s School, Wrexham. Please note the change of venue. 17th October: Estuary & Mountain (Holywell) Mission Area Commissioning Service, St Mary’s Church, Halkyn, 1900hr. 8-9th November: Area Dean / MAL Consultation at Foxhill Retreat Centre, Frodsham. 20th November: Borderlands MA Confirmation, 1500hr. 5th December: Church Hostel Thanksgiving Eucharist, Bangor Cathedral, 1900hr. 7th December: Nicholastide Confirmation at Cathedral, 1830hr. 7th January: Celebration of 20 years of Women’s Priestly Ministry in the Church in Wales, Cathedral , 1100hr. 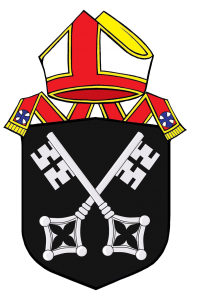 26th January: Clergy Synod (all day) St David’s Hotel, Ewloe. 7th-8th March: Area Dean/MAL Consultation at Foxhill Retreat Centre, Frodsham. 13th April: Chrism Eucharist, Cathedral, 1100hr. 15th April: Easter Vigil & Confirmation, Cathedral, 1900hr. 19-22 September: Clergy Residential Conference at St Anne’s College, Oxford. 7th-8th November: Area Dean/MAL Consultation at Foxhill Retreat Centre, Frodsham. A reminder that my Third Visitation will take place in 2017. The Visitation is an opportunity for bishop, clergy and people to make direct face to face contact about our common life, and to give and receive honest feedback. On this occasion, we are planning to bring together neighbouring Mission Areas to celebrate together, and plans are at an early stage. All licensed clergy and lay ministers, and mission area office holders will receive my citation to attend, although it would be good if they could be joined by members of the Mission Area Conference, and any others interested in developing our response to God’s Mission. Please put these dates in your diary now. I will now be pleased to hear from Mission Areas with their choice of venue for the Visitations by November 25th at the latest. The Real Advent Calendar is a fun way for parents, grandparents and Godparents to share the Christmas story. The calendar comes with a free 28-page Christmas story activity book designed to be used every day in Advent. This year, the book is illustrated by award winning artist, Alida Massari. Behind each of the 24 windows there is a festive Fairtrade chocolate made from their new and improved Fairtrade blend. The Real Advent Calendar is designed to share and celebrate the true meaning of Christmas so that Christ is not written out of Christmas. As well as celebrating the true meaning of Christmas, the calendar makes a charity donation, from every sale, to Traidcraft Exchange and the Funzi & Bodo Trust. Manon and Tracey have already taken on board some of the comments from Synod, and a revised application form together with guidance notes is now available from them. I am sure that you will share with me our concern for Archbishop Barry on the news that he has been diagnosed with prostate cancer, and that we will hold him in our prayers as he undergoes surgery at the beginning of December. This means that Archbishop Barry will now not be preaching at the Celebration and Thanksgiving for the Bangor Church Hostel on 5th December. Instead, we shall have the pleasure of hearing Archdeacon Bernard Thomas.